This mob spawns at -1283, 1344. This page last modified 2017-07-31 17:48:27. This mob was level 33 in non-revamped Nurga on the Agnarr TLP server. Thanks. We have the zone added but don't have a listing of NPC's yet for the pre revamp of the zone. I'll put it on the TODO list. Placeholder is "a goblin overseer". Found this mob at -1283, 1344 in revamped Nurga. Same room as Flame Chanter Breplish but on the opposite side. 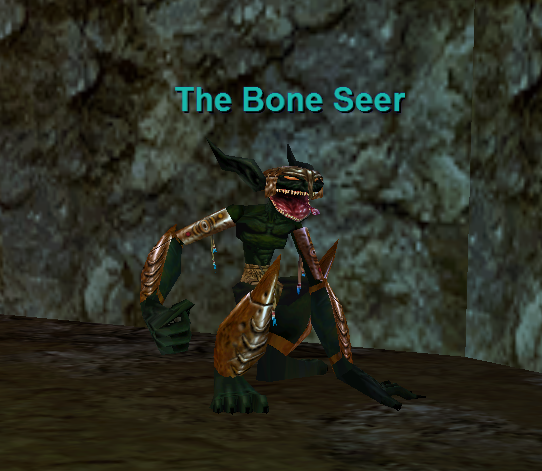 Dropped Goblin Bone Beads used for "The Realm of Pain"